Its 1 month (31 Days – 5th Jan 2018) since I took out the HashFlare mining contract and so I thought I would complete a review to see how my investment is coming along. For very little effort on my behalf I must say this is going great. I log in every few days to check my balance is Ok and so far all seems well. They did have some issue around delayed BTC payments but this was due to block chain delays rather than HashFlare themselves having issues. I wanted to have a detailed page covering what was spent and what was earned and projected, so I can look back in 6 months and compare the results. There are plenty of YouTube videos showing this but they all seem very quick and clicking about and don’t really show the detail. I have my account set to “Do Not Reinvest” and so I manually pay-out when I log onto the portal to check my balance. Due to the high fees at the moment I will pay-out manually once a week on a Sunday from now on. I don’t plan to cash out to FIAT right away so I am not fussed if the payment take a few hours to arrive, I know it will arrive eventually as I have had 3 payments from them so far. There is no referral bonus on these numbers, just the pay-outs from the pure 220 TH/s Hashing power. 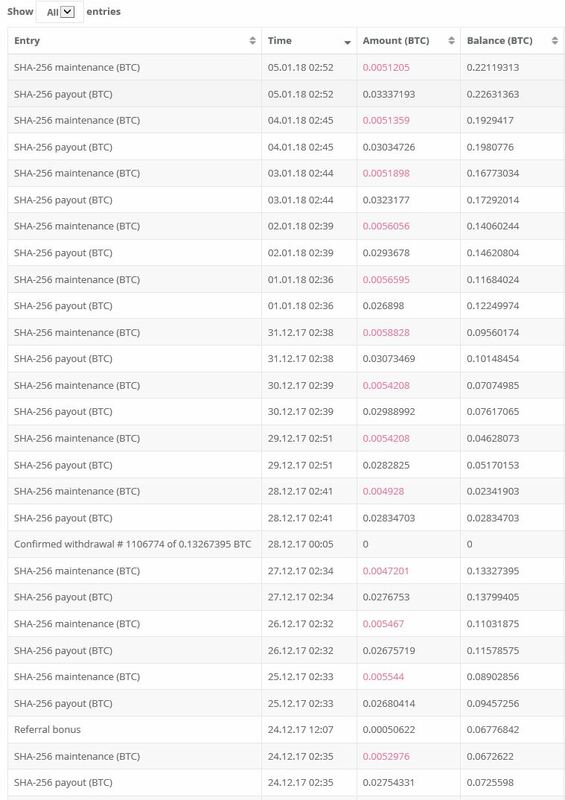 This screen shot covers the pay-outs from the last 12 days, screen grab will not allow more but this is enough to give you the idea on daily payments. These are into the online portal wallet and not your local wallet, that still needs to be processed manually. Online Calculators like CoinWarz that so many people show on YouTube are just showing you the calculations from the day times by 365 Days. This is not a forecast for the year, its not even a projection. 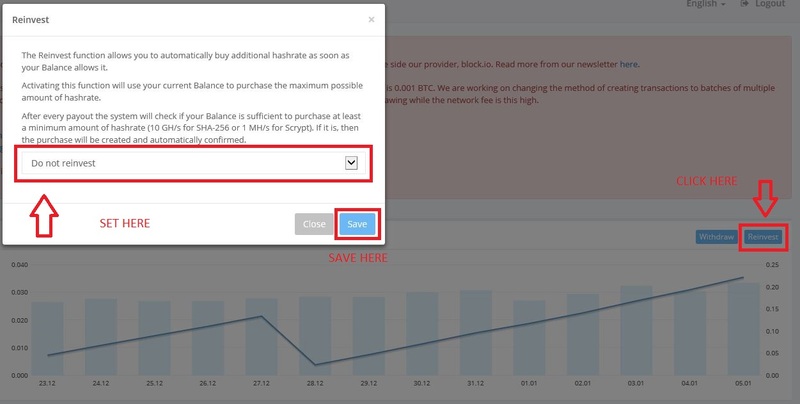 If I receive 0.74 BTC on month one, the following months will have a diminishing return.